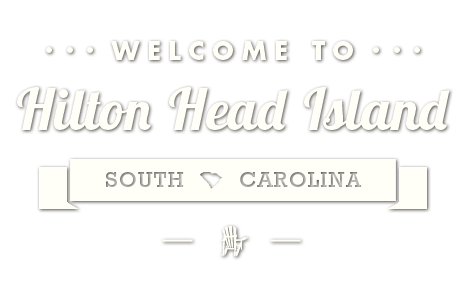 Located on Beach City Road, near the end. The official address is 10 Fish Haul Creek, but typing that in a GPS may lead to a different location. Fish Haul Creek Park is east of Mitchelville Beach and the future home of the Mitchelville Freedom Park, a historic site where visitors can learn a little history of the land. 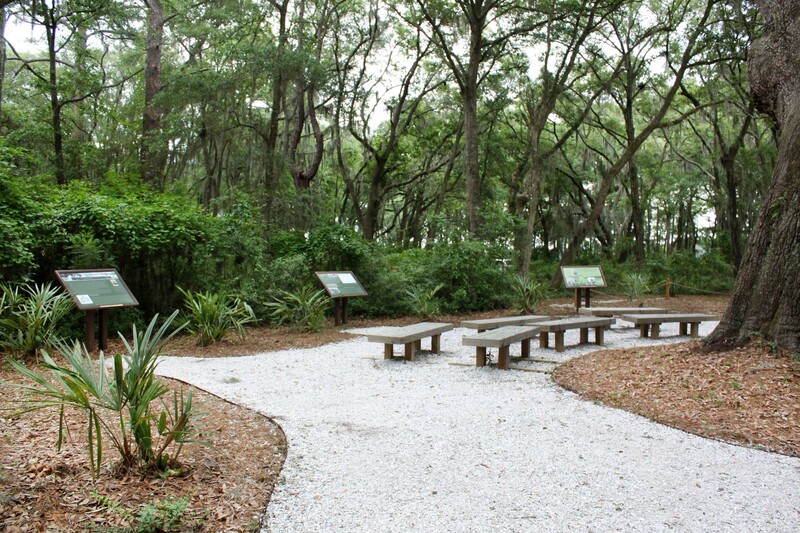 The expansive Fish Haul Creek Park offers all kinds of great views and a little more adventurous path to the beach. 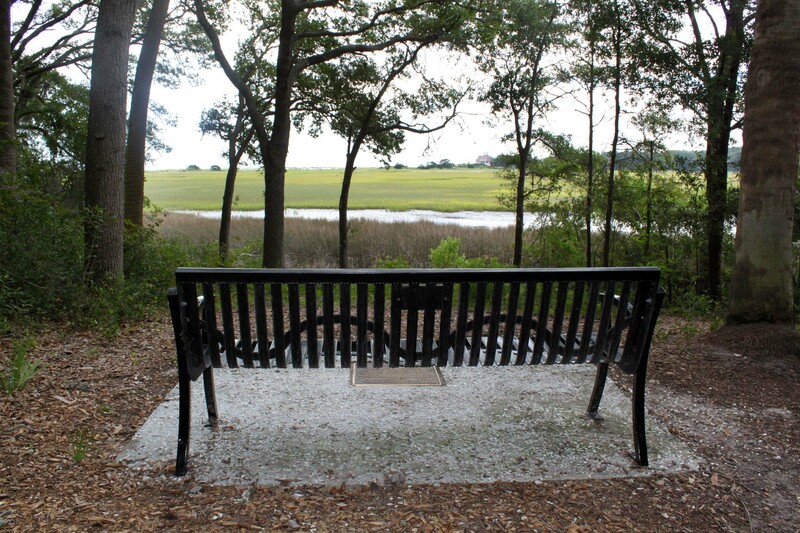 This area inside Fish Haul Creek Park offers visitors the chance to learn about the historic Mitchelville site, where Union General Ormsby Mitchel declared that Mitchelville, South Carolina was free. 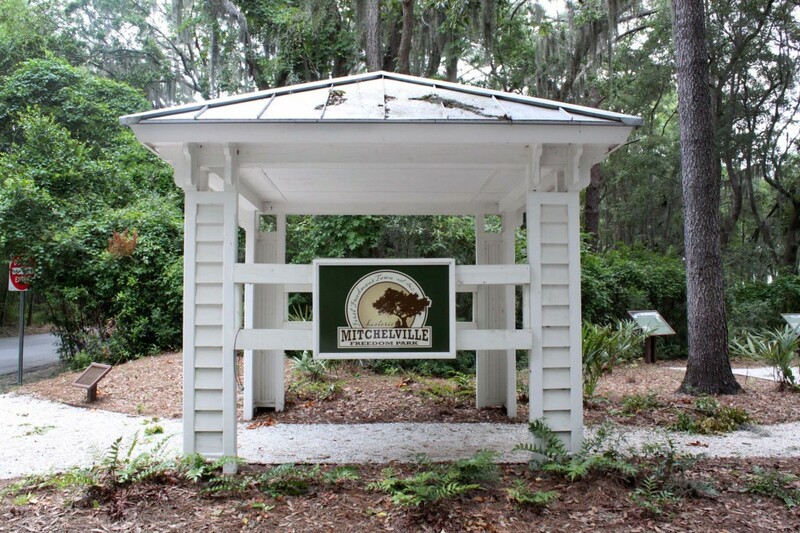 A pavilion with photographs and several markers tell the story of the rise of the first self-governed settlement for freedmen after the Civil War. This is only the beginning of the Mitchelvill Freedom Park Project, which is aimed to recreate parts of the original town and give guests the chance to learn with exhibits, lectures, forums, tours and cultural programs. 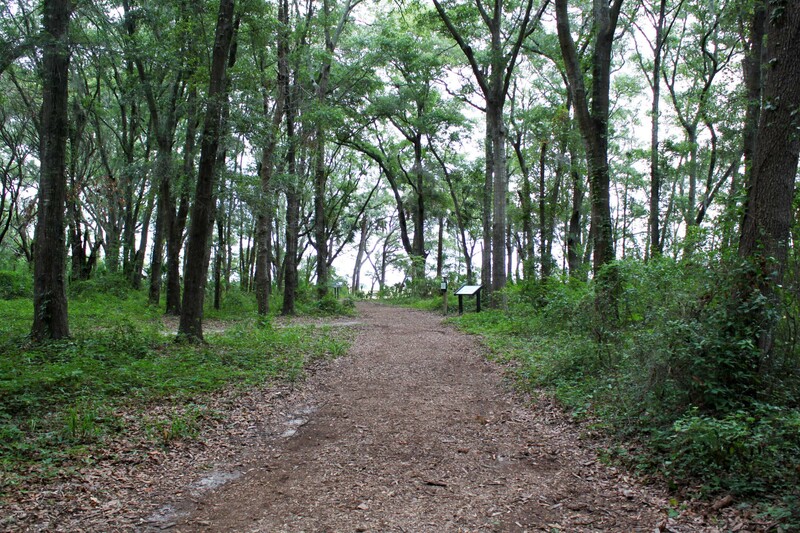 Dirt pathways lead out from Mitchelville Freedom Park through the Maritime Forest. 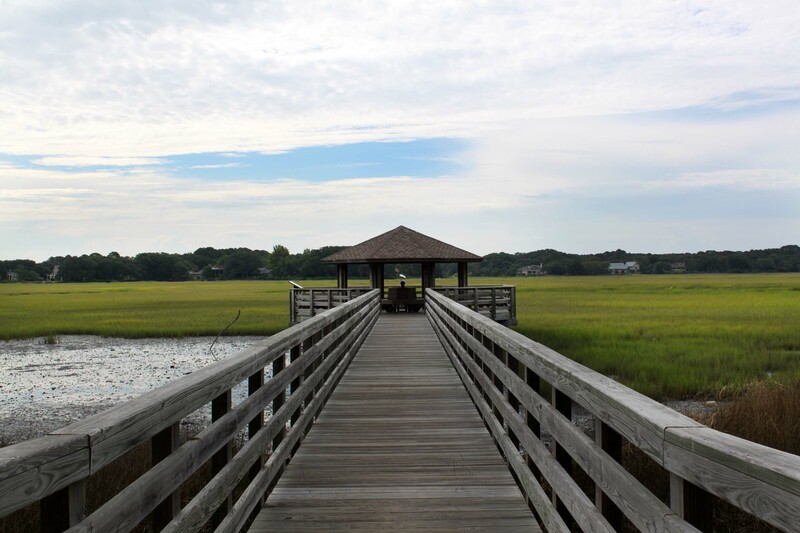 They lead out alongside the marches, where visitors can walk out onto an observation deck, spot fiddler crabs, and all kinds of birds. The first stop on the path is a dock that leads out over the salt marsh. Kids will love to watch the crabs scurry for cover as people walk down the dock. The shaded pavilion at the end acts as a lookout point for guests, complete with observation binoculars for kids and adults to look through. 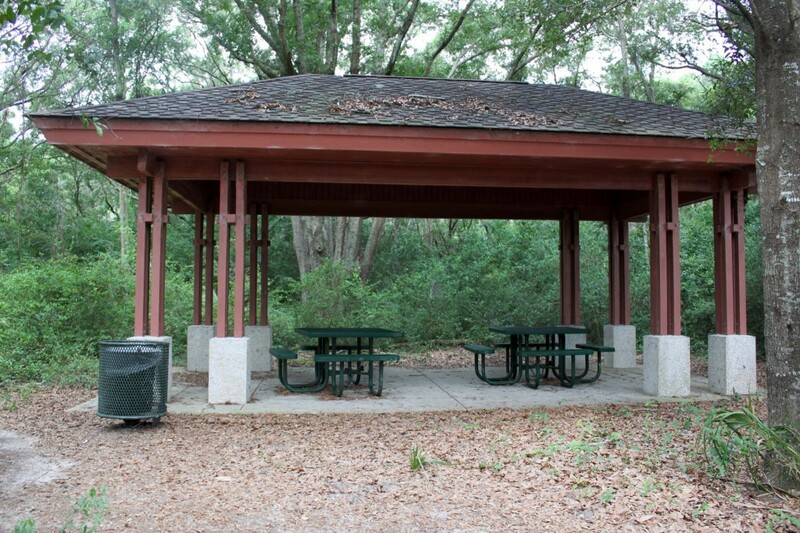 A little further down the trail is a pavilion with two picnic tables, a great spot to stop for lunch and relax in the shade. 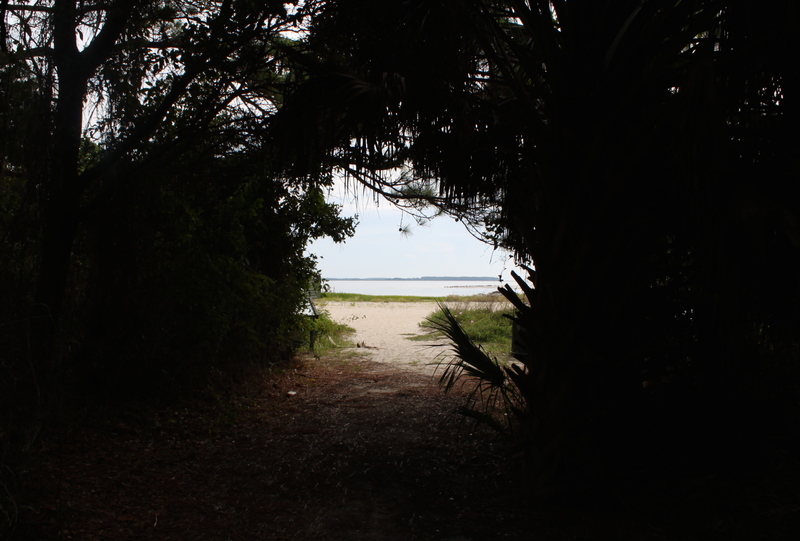 Whoever decides to venture out to the end of this path will find a beautiful beach brimming with birds and sunshine.